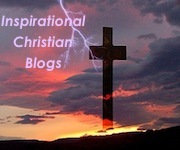 I was nominated for the Mystery Blogger Award by Amazing God Stories. Thank you, Linda! I am honored to receive this, my second award, from such a talented and inspiring author who took the time to visit and read my blog. 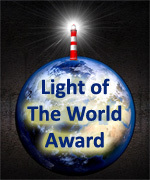 Okoto Enigma is the creator of the Mystery Blogger Award. As you may or may not have read in my ABOUT page, the only gift I acknowledge and thank God for is Creative Arts. As a minister of the Gospel of Jesus Christ, I have also written and preached quite a few “creative” sermons. This, along with my wife’s encouragement, has prompted me to write about one of my greatest passions, lighthouses. But, till this day I do not consider myself a writer. I still struggle when people praise my writing. So, I give God ALL the glory and accept that He can use that also to bless and encourage others. My mom prayed for a boy and a girl, but God gave her only one child, me. So, she taught me how to sew, crochet, cook, iron, clean (no, I mean really clean! ), fold my clothes (military style), gardening and last but not least, she taught me to fear God. The reason I am here today is without a doubt because of her example and her prayers! Why did you start your blog? –Becuase of my wife. She has been my greatest inspiration and encouragement. Since I am a lighthouse aficionado I decided to write a couple of devotions based on my love for these sentinels of the sea. My first few posts catapult me into an incredible journey of researching lighthouse facts, stories, and visiting as many lighthouses as possible. This is what has given life to Lighthouse Devotions. What is your best achievement in blogging? –When I reached 52 devotions. This is what encouraged me to edit my best posts and prepare them to publish a Weekly Devotions book in the near future. My weird question: jello or pudding? Jello. Preferably with fruit in it. What/Who inspired/encouraged you to start blogging? Who do you consider to be a spiritual mentor and why? What is the farthest you have traveled away from home? If you are asked to choose 5 words to describe your entire life on your tombstone what would they be? My weird question: Toilet paper orientation, over or under?